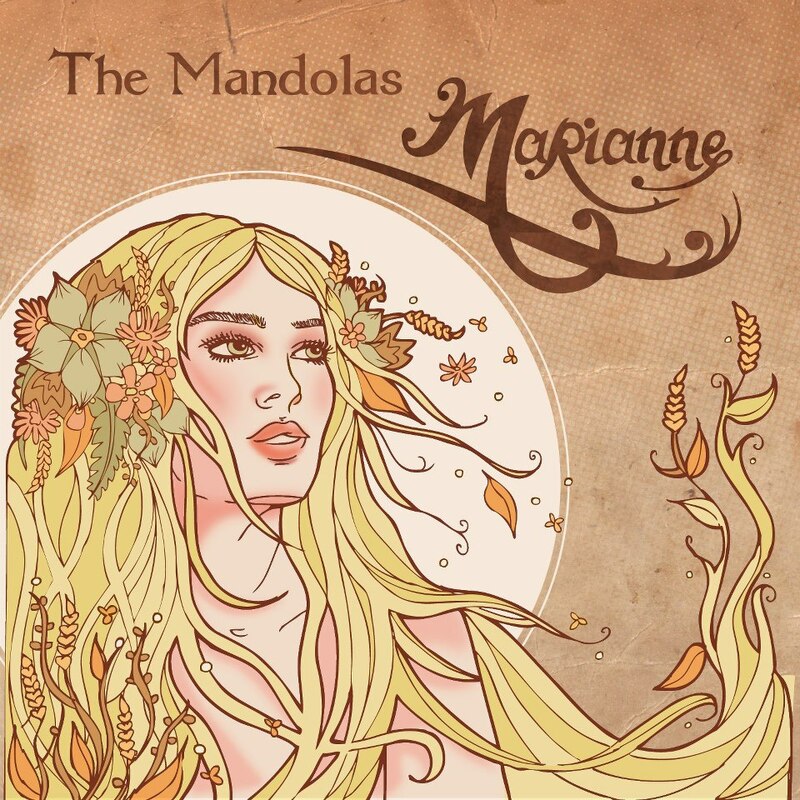 Cork/Yorkshire folkies The Mandolas ready the release of new single 'Marianne', set to hit local record stores in early November. Affectionately known down south (of Ireland) as The Sultans of String, the fab foursome have enlisted the help of Cork's own go-to guy, producer and drummer extraordinaire Christian Best (Mick Flannery) for 'Marianne', borrowing the best bits from debut EP My Greatest Day (well structured songs and heavenly four way harmonies) and compacting them into three minutes of trad-pop perfection. Some judicious editing from Best, coupled with underplaying the plethora of acoustic accompaniments on show, shifts the focus prudently to the bouzoukis, mandolins etc. only when required, in turn returning a bit of mystique to the instruments in the process. Albeit nothing extraordinary, it's nice to hear a solid backbeat in there too, previously lacking on Mandolas recordings and presumably provided by the able handed drummer himself. Again, the background simplicity allows the strong melody and vocal line to walk itself through three very satisfying, and now radio-friendly minutes. A simple-yet-tasteful harmonica outro leads me to thinking maybe this is what The Beatles would sound like if born in the wet wilds of west Cork. I presume George and his love of all things stringed would have approved.